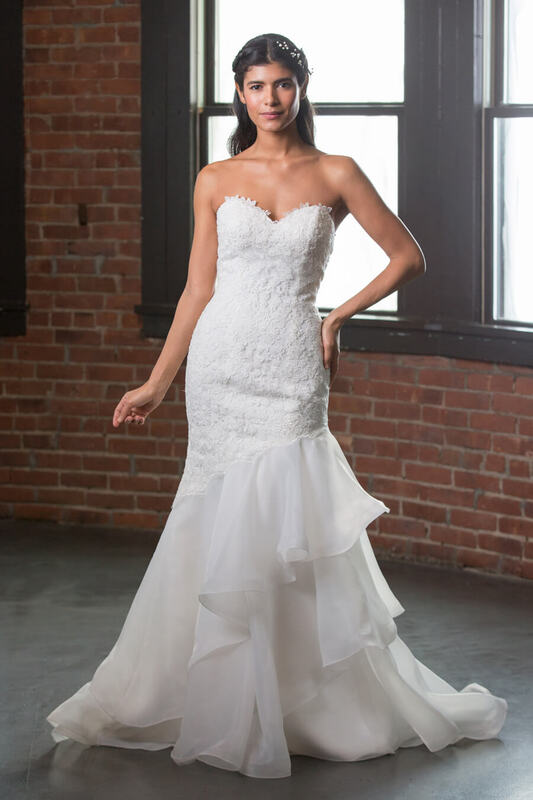 Strapless sweetheart neckline. Lace bodice Fitted through hips. Organza mermaid skirt with assymetrical ruffles.